Did you know that installing an SSL Certificate can actually help improve your Google rankings? SEO is a bizarre and frustrating science. People spend years learning about it, they come up with complicated strategies and best practices for it, then Google comes out with an update and everything you thought you knew goes right out the window. Think about it, major companies, Fortune 500 brands, the biggest corporations in the world, spend millions of dollars and devote countless man-hours to SEO strategies every single year in the hopes of improving those oh-so-important Google rankings. Sometimes it works. Sometimes it doesn’t. SEO can be an inexact science. That’s why anytime you find a guaranteed way to boost your search rankings, you take it. No questions asked. And that’s exactly what SSL is. A guaranteed SEO boost, if done correctly. That’s right if you install an SSL Certificate on your website you can see up to a 5% rankings boost. That may sound too good to be true, but it’s not. So what are you waiting for? Wait, How Do You Know This? In 2014 Google announced that it would begin using SSL as a search ranking signal. Soon after, the other search engines followed suit. As Google goes, so goes the industry. Now, why did Google do this? That’s a bit more of a complicated answer. The web browser community, the people behind popular browsers like Chrome, Firefox, Safari, and Edge, are pushing for universal encryption. That is, they want to see every single website start to use basic encryption as a default. This, in their eyes, is the first step towards a more secure web. Obviously, Google, the company behind Chrome, is part of the browser community. And it finds itself in a particularly advantageous position to push this universal encryption initiative by virtue of the fact it both boasts a browser and is also behind the world’s top search engine. Face it, when you want information you don’t Ask Jeeves anymore, Yahoo is failing and nobody even remembers Alta Vista. No, when you want information or to find something you Google it. The search engine is so ubiquitous it’s actually become a verb. And that’s why Google’s search rankings are so important to businesses. They literally can be the difference between success and failure. So if Google wanted to push forward an initiative that all websites should encrypt, rewarding sites that do with better search rankings is a great way to accomplish that. And that’s exactly what Google has done. Implement SSL, get rankings boost. It’s as easy as that. How Do I Make Sure I Maximize My Rankings Boost? Well, that all comes down to the way you install and configure your SSL Certificate. Simply installing the certificate on your web server is not enough. No, you need to configure your server to serve your website over HTTPS. 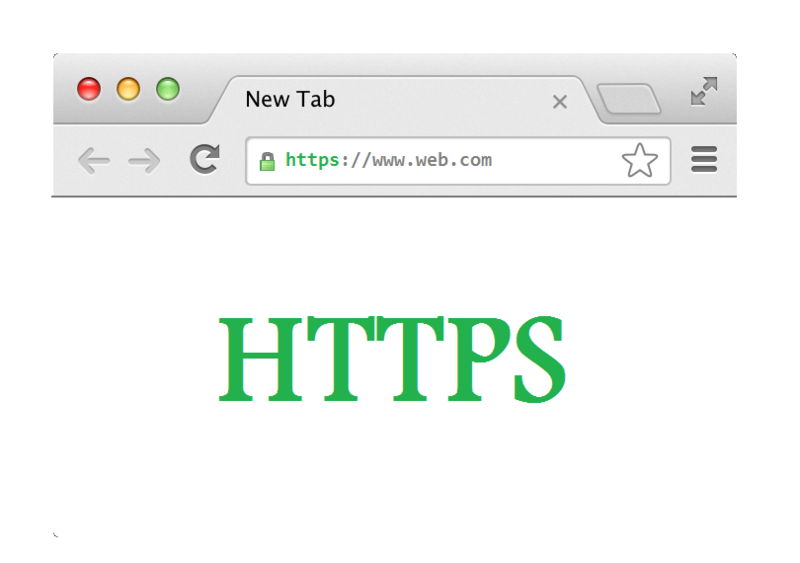 HTTPS is the secure version of the HTTP protocol that the web is built on. It’s becoming increasingly important as the web shifts towards an encrypted model. What you want to do is serve your entire site, every page, over HTTPS. This is referred to as Always-On SSL or sometimes HTTPS Everywhere. But, it’s not as simple as it sounds. It’s not just page links that need to be switched over to HTTPS, it’s also all of the associated assets that go with those pages. We’re talking videos, pictures, files, anything that’s on that page. If even one asset isn’t pointed to HTTPS, it will create an issue and the page will be marked as not secure by browsers. This obviously would render any SEO ranking boost moot. Frankly, transitioning from HTTP to HTTPS can be an extremely complicated process. In fact, doing it wrong can actually create a negative impact on your SEO in the other direction. Fortunately, there are a number of excellent guides available online to aid in the transition. We recommend you seek one of those out before attempting to move your site over. Ok, so at this point, it’s obvious you need an SSL Certificate. For one, the entire internet is moving towards an encrypted model so not investing in SSL will put your website behind the curve. But, let’s be honest, you also want that sweet, sweet Google rankings boost. So what should you pick? The first thing you need to consider with your SSL Certificate is what level of authentication you need. All SSL Certificates offer the same level of encryption. What differentiates certificates is authentication, or, put another way, the lengths to which the Certificate Authority that’s issuing the certificate goes to verify your identity. Domain Validation is the lowest level of authentication. It only requires you to prove you own the registered domain. For non-e-commerce businesses and websites that don’t collect personal information, DV should suffice. For companies or organizations that need to inspire trust in their customers – meaning, any e-commerce business, medical organizations, financial institutions, etc. you will need business authentication. This comes in two forms, Organization Validation, which is light business vetting. And Extended Validation, which requires more intensive authentication but also activates the green address bar, which displays your organization’s name and country of origin next to the URL. Obviously, EV inspires the most trust in consumers, but it also costs the most. The best option for you really depends on a number of factors, but each type has its own advantages and drawbacks. After you decide on validation level, you need to consider what exactly it is you’re encrypting. There are single site certificates, and then there are certificates that can secure your domain and its accompanying Sub-Domains, or that secure multiple domains. Wildcard SSL Certificates secure Sub-Domains, and as the name suggests, Multi-Domain SSL Certificates or SAN Certificates, secure multiple domains on a single cert. It’s really just a matter of finding the correct fit for your online portfolio. Once you do, purchase it, get it issued and install it on your web server making sure to configure your site to be served entirely over HTTPS. Then, sit back and enjoy a nice Google rankings boost. This entry was posted in Google Chrome, SSL Certificates by Mit Gajjar. Bookmark the permalink.